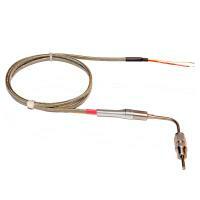 The Air Probe Sensor is specifically designed for use in applications requiring a temperature control or indication. 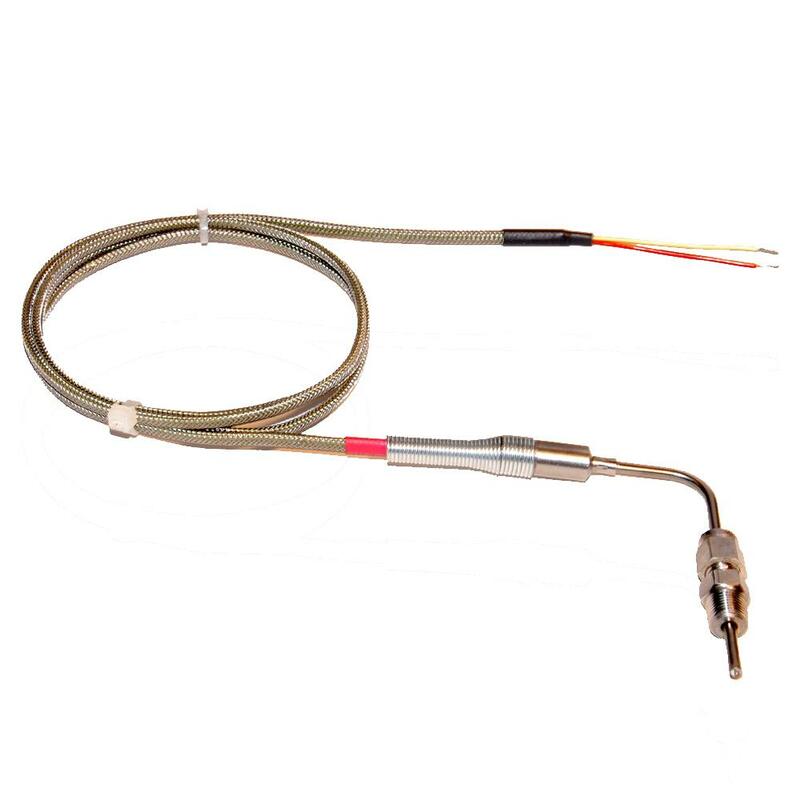 This probe has been designed to withstand corrosive environments found in marine and process industries. It will also withstand the rigors of automotive, trucking, agri-vehicle, racing, tuning, and testing applications. 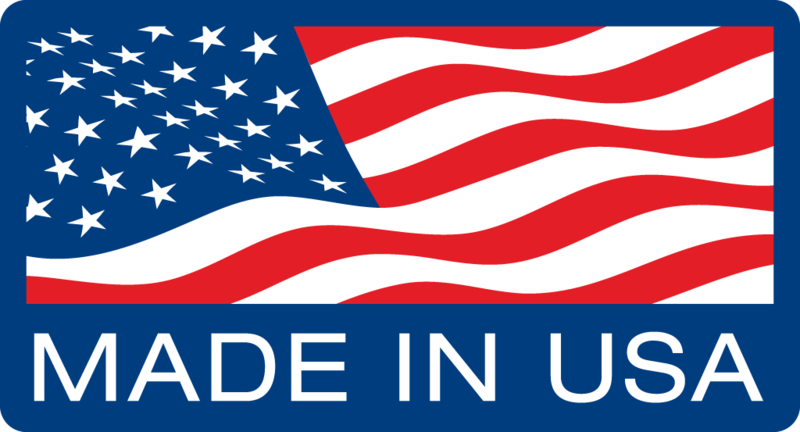 Made in the USA from superior materials, designed to withstand highly corrosive saltwater environments and even the most extreme racing conditions. 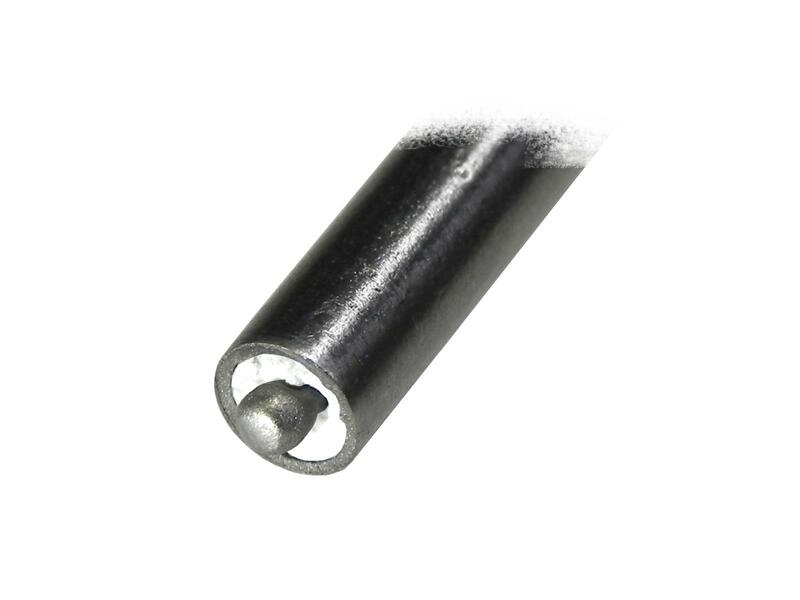 The exposed sensing tip is recommended for measurements of air and gases. 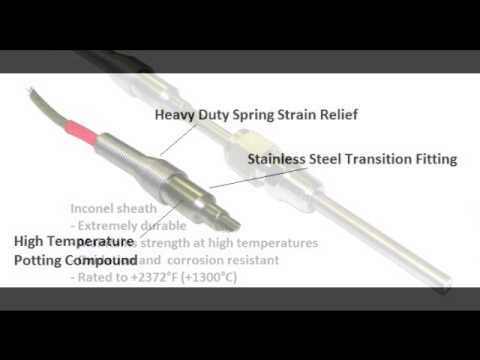 The Air Probe is capable of surviving extreme vibration and heat up to 2200°F (1200°C). Making it an excellent choice for intake and exhaust systems requiring a high level of reliability and ruggedness. The Air probe will fit most exhaust systems from approximately .750 inch diameter up to about 4 inch diameter with nominal installation modifications. The Air probe is 0.125" diameter (3 mm) with a 90-degree bend to accommodate tight mounting locations. 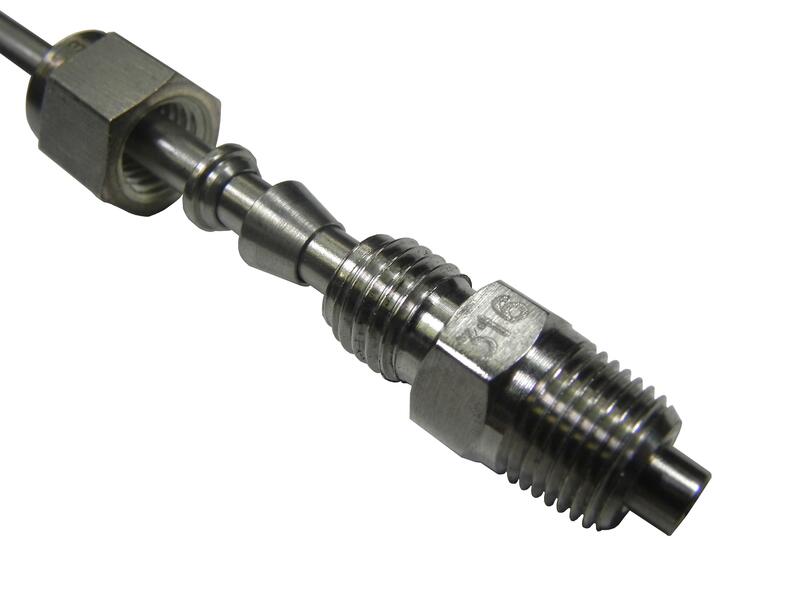 An adjustable (316 Stainless Steel) 1/8" NPT compression fitting adapter is included. The Air probe cable lead length is 6 feet (2 meters). The Air probe is the sensor of choice for Marine as well as cold air intakes, furnace exhausts and R&D and test labs. The EGT probes can be used for many different applications, including… but not limited to… Marine, Agricultural, Process Management and Engine Management Systems. We will build custom probes for you OEM and conversion requirements, 10 units to 1000. An applications engineer is available, call us today at 248-417-2622 to find out more or talk to us about your application requirements. We Ship World Wide! Europe, Asia, Australia, South America - Wherever you are, we'll ship to you. Questions about what you need? Call us at 248-417-2622 for technical support.